This freshly updated, newer, clean and neat 4 bedroom Cape has 2 large bedrooms upstairs and 2 bedrooms down and 2 full bathrooms with an open floor plan kitchen to living room. Patio, grill and outdoor shower. Also included: dishwasher, washer/dryer, cable TV, Internet, and a ping pong table in the basement. 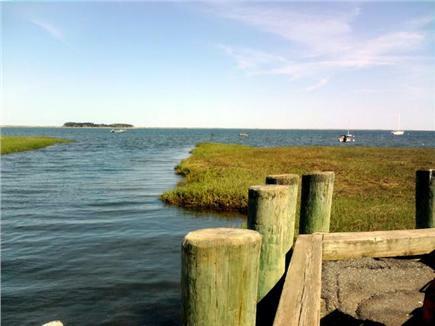 Just a 1/2 mile walk to the boat launch and small association beach from which you can kayak or paddle board all over Pleasant Bay. Kayak available for your use at our property. If you bring your own boat, there's a convenient driveway with 2 entrances to drive through. Both Nauset and Skaket Beaches on the Atlantic are approximately 4-5 miles away or about a 10 minute drive. Many walking trails nearby. 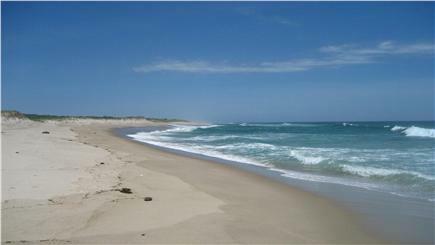 Short drive to Skaket Beach, Nauset Beach, freshwater beaches and many others. Close proximity to Chatham center. Many great restaurants nearby. A charter boat for seal tours and fishing expeditions picks up at the end of our road! Enjoy live Jazz while dining at the Wequasset Inn just down the street or kayak to their dock. Beach sticker/week pass for town of Orleans available. No pets or smoking, please! Additional pricing info: Cleaning fee of $100 per stay, State and local taxes of 12.45% will apply. Very comfortable,very spacious and nicely decorated home. There was 8 of us staying here and we had plenty of room. The house was spotless, and the kids really enjoyed the ping pong and the basketball hoop. We took the kayak down to the landing at the end of the road, and also got some amazing sunrise pictures from down there. The location was convenient for our needs and the road was quiet. The owner was easy to work with, and we would definitely stay here again. We were pleasantly surprised with the large bedrooms downstairs, and the upstairs rooms were huge! The house was very clean and updated with beautiful hardwood floors throughout. Lots of great amenities were a plus for our family such as the air conditioners, outside shower, ping pong table downstairs and basketball hoop outside. The area was quiet and I was able to go for a nice walk. The house rated on the top of our list for future rentals! We found this property while searching for a family weekend away. It filled all of our wishes. Location was serene with beautiful landscaping. Enjoyed the walk to the local beach. Visited the nearby state park, beaches, Orleans center (for shopping, bike trail and restaurants). Also headed over to Chatham lighthouse and watched the seals frolicking. The house itself is spacious and immaculate. The ping pong table was an added bonus for the kids. Looking forward to going back again!! Although this was our first rental, we couldn't ask for much more. The house in one word is super COZY. We really enjoyed the open kitchen and dining area most - it allowed our families to spend quality time together the entire trip... While some were preparing breakfast or dinner or packing lunches to go, we were generally always "together"... and enjoying each other's company. And of course, our spacious bedrooms also offered us privacy when needed. The kitchen was new and very clean - and had all the amenities (pots, pans, dishes, wine glasses, etc.) to make full blown breakfasts and dinners! The cute little seashore themed paper placemats were a thoughtful touch. Extra fold up chairs were also provided. Although we didn't get a chance to take advantage of the outdoor grill, we enjoyed the backyard with the basketball court and the badminton sets provided. We thought we would be attacked by mosquitoes and bugs but, to our surprise, there were none at all! 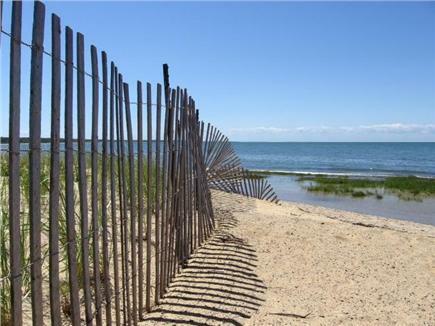 Orleans also has some of the most beautiful beaches on the Cape! Nauset Beach is beautiful on the ocean side but Skaket Beach is a MUST VISIT beach... During low tide, you can walk for miles out into the calm crystal clear waters and the sand underneath is supersoft and superfine - perfect for families with little ones! Ridgevale Beach, although in Chatham is still close and great for kayaking right on the beach (they have rentals right on the beach for your convenience). The convenient location on the Cape was also perfect for us to travel between Chatham and Ptown. The owner provided us with her cell phone number in case we had any questions during our stay but we didn't need to contact her because she also provided all the information we needed on a sheet of paper on the fridge.